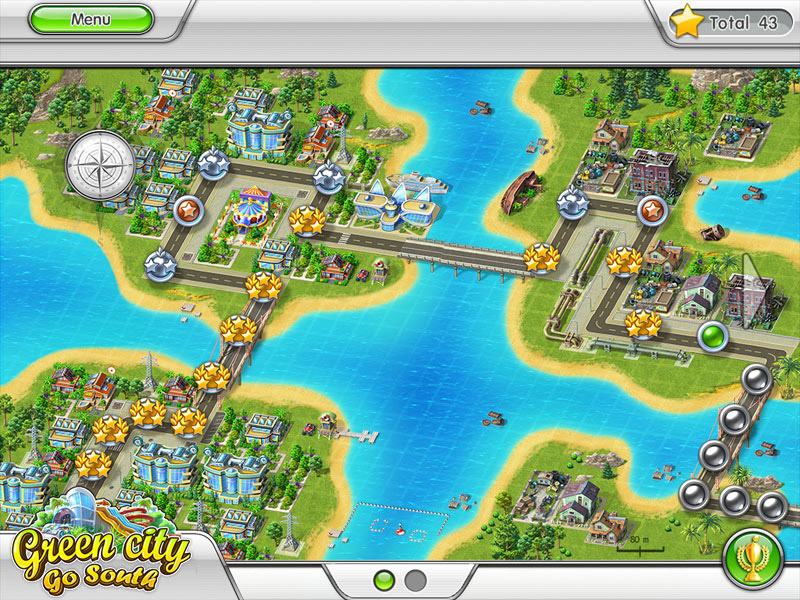 Build your version of paradise in this simulation game. Is there a better alternative to Green City: Go South? Is Green City: Go South really the best app in Simulation category? Will Green City: Go South work good on macOS 10.13.4? Green City: Go South needs a review. Be the first to review this app and get the discussion started! Green City: Go South needs a rating. Be the first to rate this app and get the discussion started! Build your version of paradise in the middle of the ocean with eco-friendly materials in Green City: Go South, an environmentally conscious time management game. Continue to expand your real estate empire with an eye on sustainability and renewable resources. Promenades and other natural beauty features keep the people happy and your prestige up. Use recycled garbage, build generators and power plants. Turn the polluted offshore islands into a pleasure paradise for tourists and natives alike. Apply green engineering principles to renew and repopulate areas damaged by oil derricks when you try the free trial version of Green City: Go South or download the full-unlimited version today!